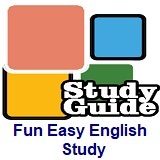 ﻿ Fun Easy English - new american english study Voice of America VOA Education Tips Improve Your Long-Term Memory by Spacing Practice lesson. Imagine you are trying to develop a skill that you want to remember -- and use -- for a long time. Perhaps you are learning a new language or complex information in a subject like physics or mathematics. What could you do to help you remember what you have learned? What is a good study method to help you reach your goals? One way is to use a method called "spaced practice." This suggestion comes from Mary Pyc. She is a specialist in cognitive science, the study of the mind and its processes. Pyc works for Dart NeuroScience, a company with offices in San Diego, California. In today’s Education report, we explore the idea of "spaced practice." If you are like many students, you might study quickly and try to memorize subject material just before a test. You might learn new words in one study session, but then never look at them again. You might feel like you have memorized the new words or terms, but when it comes time to use them – perhaps on a test – you cannot remember them. You will not be surprised to learn that practice -- repeating exercises -- helps you learn. However, the way you practice can influence how well you learn something. Cognitive scientist Mary Pyc says that one way to develop a long-term memory of something is to use spaced practice. In other words, studying the new information over time is better for long-term learning. So, instead of practicing in only one session, learners could better spend their time studying the information several times throughout the week. Pyc says that spacing comes in two ways: spacing within a study session and spacing between sessions. Spacing within a session means occasionally re-examining the information in a single practice session. One way English learners can do this, Pyc says, is by creating flashcards. One side of a card might have the word in English; the other side has the word written in the student’s native language. The more cards you have, the greater the space between each time you see the card. So, spacing within in a session is used to describe the act of building a larger deck of flashcards. "You don't want to do all of your studying in one learning session. You want to space it across time. So, maybe three days a week you come back to this deck of flashcards, and you go until you get items correct." If you do not like having large decks of flashcards, you can create digital tests or quizzes that follow your progress over time. We explored this subject in an earlier education story, which you can find on our website, voalearningenglish.com. Spaced practice naturally goes with another study method: interleaving. Interleaving means using a mix of study methods during a practice session. The important part is that your brain has to practice changing between different operations. Language learners may study different vocabulary words mixed together in a large deck of flashcards. The brain must remember different meanings of each word. Or students studying math may practice addition, subtraction, multiplication, and division problems mixed together. The important point, Pyc explains, is that students begin to discriminate between different kinds of problems. This strategy is much more useful than having exercises only for addition problems or only for subtraction problems, for example. The strategy of practicing only one subject is called "blocked" practice. It is commonly used in schools, although Pyc says that it is not as effective as spaced, or interleaved practice. You should know one thing about the strategies we have discussed today: they take more time. Mary Pyc and Henry Roediger III wrote an article for the Journal of Applied Research in Memory and Cognition. In the report, they write that some of the best types of learning take place slowly at first. This learning may take more time and be more difficult, but long-term retention is far greater. In other words, you will be able to remember what you learned for far longer. So, the important point is to not become discouraged. The value of regular, effortful practice may not be apparent for some time, but the long-term benefits are great!